Chances are that your casual photo shoot along the Srivari Mettu (the old route by steps from Tirupati to Tirumala) in Andhra Pradesh will capture some avian species that went missing a few years ago. The birds are back due to the improved ecosystem, say ornithologists and officials of the forest department. They claim that protective measures and changing weather have brought back the birds which abandoned the forest, along with new ones from distant Western Ghats. Black-hooded Oriole ( Oriolus xanthornus which belongs to the corvidae family), a common resident bird of Seshachalam forest in the Eastern Ghats, went missing over three years ago. But a few of them were captured in a bunch of photographs by The Hindu along the route to Tirumala. Besides India, the Black-hooded Oriole is seen in Srilanka and Indonesia. The Oriole, along with other species such as Golden Oriole, Black-naped Monarch and Indian Nightjar, had gone away from the region about three years ago due to increased red sanders felling and smuggling, and hostile weather conditions, according to Tirupati-based ornithologist, Karthik Sai. “Many avian species disappeared a few years ago due to increased human activity, smuggling and fast changing weather conditions in the reserve forest. 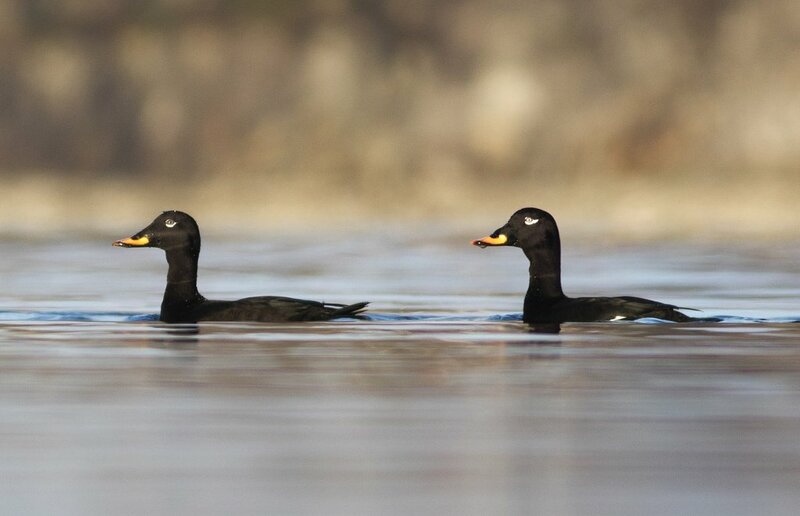 But, of late, we have seen the birds coming back due to favourable weather and ecological conditions. To our surprise, we see a bunch of Brahminy kites ( Haliastur indus, called Tella Garuda Pakshi in Telugu) in the Kalyani Dam area. This species is specific to the Western Ghats but has been sighted here, perhaps due to the improving habitat,” Mr. Karthik said. The efforts by the Forest Department in conserving the environment are yielding results, claimed the Deputy Conservator of Forests and Special Task Force for Red Sanders Protection, B.N.N. Murthy. “There has been a lot of improvement in wildlife management and conservation here. We are restoring more water bodies and ensuring the availability of food as part of our efforts. Several ground-nesting birds are protected through fire-lines (fire barriers to prevent forest fires), water holes and pits,” Mr. Murthy said. Besides disturbance due to red sanders smuggling, many species, especially the ground-nesters, were threatened by people who consumed them, causing their mass migration or near-extinction, he said. According to a research paper submitted in 2014 by the Bio Lab of Seshachalam Hills, Sri Venkateswara University and Forests, Wildlife Management Circle, Tirupati, Seshachalam forest is home to 215 species of birds, which belong to 45 families. Some of the avian species such as Emerald Dove and Painted Spurfowl — described as “uncommon” by the researchers — are now frequently sighted along the old Tirumala steps route according to the locals. This apart, the beautiful Indian giant squirrel ( Ratufa indica ) is also a common sight on the other side of the forest in Tirumala. The Seshachalam forest, one of the richest regions in terms of biodiversity, could have received much more protection and care but for the paucity of funds and lack of financial support. The funding for the entire region is approximately in the tune of Rs. 50 crore which is negligible according to a top forest department official. “The Western Ghats alone get about Rs. 1,000 crore compared to the Rs. 200 crore overall budget for the protection of forests in our State (Andhra Pradesh). We need at least Rs. 500 crore for the protection of the Seshachalam forest. The Tirumala Tirupati Devasthanams, the State and the Central governments should focus more on this rare biosphere,” said the official. This entry was posted in 2017, International and tagged conservation, human impact on 1 Aug, 2017 by Birdlife20 owner. Inden 1. august kan regeringen beslutte at overføre flere penge fra EU’s direkte landbrugsstøtte til natur-, miljø- og klimaforbedrende tiltag i landbruget. Det kan modvirke den udhuling af støtten til miljø og natur, som sker frem mod 2020. I 2014 besluttede den daværende regering at overføre 5-7 % af den direkte støtte til Landdistriktsprogrammet. Det var første skridt på vejen. Det var nødvendigt for at finansiere de initiativer i Landbrugspakken, som delvist skal kompensere for effekterne af øget udspredning af næringsstoffer. Regeringen har endnu ikke taget stilling til, om der skal overføres yderligere midler til landdistriktsprogrammet. Beslutningen skal tages inden for den nærmeste fremtid. This entry was posted in 2017, Scandinavian, X and tagged conservation on 25 Jun, 2017 by Birdlife20 owner. Mye av Hardangervidda IBA er vernet. I 1981 ble Nordens største nasjonalpark etablert, noe som skulle hjelpe til å bevare et unikt og storslagent fjellområde sør i landet. Dessverre betyr det ikke at de siste tiårene har vært uten problemer for fuglene som lever der. Hardangervidda er et gedigent høgfjellsplatå, faktisk det mest omfangsrike i Europa. Fjellområdet deles av fylkene Hordaland, Buskerud og Telemark. Landskapet sentralt og øst på vidda domineres av flatt eller bølgende terreng med et mylder av små og store vann. Områdene i vest, samt områdene nord for selve nasjonalparken, er mer kuperte. I nasjonalparkens randområder i vest stuper fjellene ned i de dype vestlandsfjordene. Hardangervidda ble tidlig valgt ut som et «Important Bird and Biodiversity Area» (IBA) av NOF. Artssammensetningen er karakteristisk for det arktiske biomet, og Hardangervidda er også en av landets viktigste hekkeområder for den globalt truete dobbeltbekkasinen. Bestanden i IBAet er anslått til 100–200 par, men kan godt være betydelig større. Heilo er en karakterart i fjellområdet, mens jaktfalk, sjøorre og temmincksnipe finnes i mindre antall på en del lokaliteter. Det kan også nevnes at Hardangervidda er det sørligste hekkeområdet for tundrasædgås (underarten rossicus av sædgås Anser fabalis) i Europa. Dessverre viser nyere undersøkelser at flere av Hardangersviddas karakterarter har vært i tilbakegang de siste 20 årene, noe som sammenfaller med negative bestandstrender for flere av våre fjelltilknyttede fuglearter over store deler av landet. Ved å sammenligne hekkefaunaen i et område på 1250 moh. i Eidfjord kommune i 2010 og 2011 med registeringer gjort 30 år tidligere, fant Byrkjedal og Kålås (2012) indikasjoner på en urovekkende tilbakegang hos en del vanlige arter. Nedgangen var på om lag 40 % for heipiplerke, 65 % for steinskvett og hele 85 % for lappspurv. Mulige habitatendringer på hekkeplassen og negative faktorer på overvintringsplassen er ansett som mulige årsaker. This entry was posted in 2017, Scandinavian, X and tagged conservation on 24 Jun, 2017 by Birdlife20 owner. 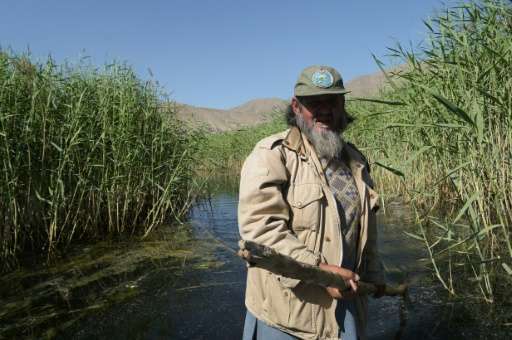 A rare Afghan marsh that was once a royal hunting ground is set to come under the official protection of the UN environment agency, with the aim of saving hundreds of migratory bird species. On the long, arid journey to the Caucasus and Siberia, across the Hindu Kush massif, the Kol-e-Hashmat Khan wetlands outside Kabul provide sanctuary for the thousands of storks, egrets, pelicans and flamingos that head north every spring from southern India. But after 40 years of conflict and neglect, their habitat is being threatened by the growth in new homes, irrigation systems, rubbish and global warming which is gradually changing the local environment. Now the UN has designated the wetlands a conservation site, the Afghan government said on Sunday, as it also looks to help preserve the water supply of the capital. “There are probably more than 300 or 400 species that pass through, though without an accurate count it is hard to be sure,” says Andrew Scanlon, head of the United Nations Environment Programme (UNEP) in Afghanistan. They are migratory birds and “tourists” who stay for a very short period of time to find food, he adds. At daybreak, the marsh comes alive with the morning chatter of the birds hungry for breakfast. Binoculars in hand, Scanlon stands atop a tower that dominates the landscape. In the distance is the silhouette of Bala Hissar, an ancient fortress that defended the city for centuries. Opposite, mud houses and sturdier dwellings made from bricks seem to spring up at random, hurrily erected during wars for tides of refugees and displaced people. It was once a favoured place for royals to go hunting, though Scanlon stresses any activity would have been carried out “in a sustainable way”. But with the invasion of the Soviet army in 1979 and the succession of conflicts afterwards, including the civil war in the early 1990s, Afghans were preoccupied by their own survival and the environment suffered. War saw the marshes more or less abandoned until 2005, Scanlon explains. This entry was posted in 2017, International, X and tagged conservation, habitat, migration on 13 Jun, 2017 by Birdlife20 owner.